Providing yoga therapy for individuals with MS and other neuromuscular conditions for the last ten years has been one of the most rewarding gifts in my life. My students are my inspiration and I take great pride in our growing Yoga Moves MS community. They make me feel as though I am the luckiest yoga instructor and therapist on the planet. My interest in adaptive yoga stems from childhood. My mother had a progressive form of multiple sclerosis (MS), and was confined to a wheelchair for over 25 years. At the age of thirty-two, I had the great fortune of attending a yoga class. From then on, I was hooked and began a daily practice. After completing my first teacher training, I was invited to volunteer and instruct a group of individuals with MS, and quickly realized how yoga can improve the quality of life for everyone and any body, including those with movement challenges, who have an open mind and a willingness to learn. I view myself as a perpetual student, and seek to learn from some of the best instructors in the country, and then apply this knowledge about yoga therapy and mindfulness to my classes. My experience as a hospital administrator at the University of Michigan for seven years contributes to my ability to bring the Yoga Moves philosophy of healing and the importance of the mind body relationship to the health care arena. For more specific bio information, please click here to view my CV. Marla completed RYT 200 hour training with Katherine Austin in 2008. She has specific training with Mindy Eisenberg, Doug Keller, Mathew Sanford, Christopher Briney, Sara Davidson, Judith Hanson Lassiter, Nataie Piet, Robin Rothenberg, and Katherine Schaefer. She believes the practice and study of yoga poses, breathing and yoga philosophy can supplement modern medicine. Getting on the mat means taking care of ourselves so that if or when there is a need, like injury or illness, we can deal with it with less of a sense of helplessness. The way we physically move through our lives, the way pain is managed, the way we deal with the indignities of loss allows us to think, “well, this is an opportunity to practice some of that restorative yoga and breathing that I have been studying”. 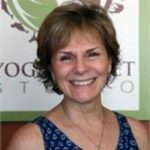 Kathy, RYT200, spent 30 years in the automotive industry and discovered yoga while exploring different ways to cope with the stresses of the industry. As a manager, she shared this newfound knowledge and encouraged others to manage stress in a healthy way. After retiring, she wanted to expand her practice and completed teacher training with Katherine Austin. She studies adaptive yoga with Mindy Eisenberg. Kathy helps students connect with their own wisdom, expansive potential and healing abilities. She believes that yoga is available to everyone and adapts poses to meet the needs of her students. 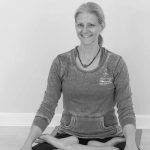 Jill has been a yoga practitioner for 16 years, inspired by her main teachers, Michael Johnson, Mira Shani, Sarah Davidson, Doug Keller, Judith Lasater, and most recently, Alan Haras. She has been an instructor with Yoga Planet Studio since 2012, and with the Oakland University Recreation Center since 2006. 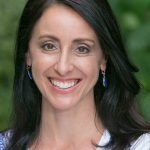 She completed the Clearlight Yoga Shala 200-hour Teacher Training at Updog Yoga in Rochester in 2007, and received a certificate in Complementary Medicine and Wellness from Oakland University in 2008. She completed the Yogi’s Way course at HamsaYoga Center in Lake Orion in 2011. 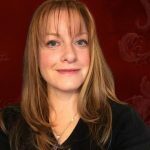 Jill is also attuned as a Reiki Level II practitioner and is an avid participant in kirtan, a form of devotional chanting. Jill teaches a variety of yoga styles, but specializes in Restorative, Yin, and Adaptive Yoga, as well as Shamatha/Vipassana Meditation. Jill’s background as a dancer, an athlete and in business gives her first-hand experience with the stress and distraction that can wreak havoc on the body and mind in sometimes debilitating ways. Her classes will help you create space and find release where you need it most, both on and off the mat. Cheryl is the director of Shanti Yoga Center. Her yoga practice began in the mid 1990’s. 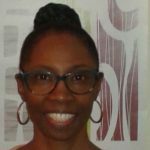 In 2004, after commuting from the east side to the west side to take yoga classes, she decided to take teacher training with the intention of teaching yoga on her side of town. In 2008, she traveled to Mysore, India to study at the Ashtanga Yoga Research Institute for one month. That same year she did her first 10 day Vipassana Meditation Course. She is currently working on a degree in exercise science, integrated medicine and holistic healing and hopes to meld that which was once, and in some circles still is, considered the esoteric Eastern practices with Western science. She is grateful for the compassion and patience of her teachers and passes this on to her students: May all beings be well, may all beings be free, may all beings be peaceful, may all beings be happy. Mandy Bush, E-RYT, LVCYT; has been teaching yoga since 2010. She believes teaching is the best way to learn and share all the amazing benefits that yoga can offer. She is certified in both hatha and chair yoga and believes we all need to include more fun, relaxation and exercise in our lives. 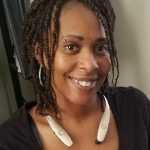 She is a former middle school science teacher who is passionate about keeping our lifestyles, health, environment, and relationships as balanced as possible. Yoga, breathing, and meditation are easy things we can incorporate into our daily life to counteract all the imbalances we are exposed to. Barbara has been practicing yoga since 2003 and is grateful for her many wonderful teachers on and off the mat. She is a former elementary school teacher and currently, a stay at home mom. In early 2016 she completed her Teacher Training with Brian Granader at Red Lotus Yoga. Since then she has been studying, and assisting and teaching as part of a team of teachers with Mindy Eisenberg’s Yoga Moves MS adaptive yoga program. In early 2017 she completed a 20 hour Yin Yoga Teacher Training with Bethany Perry. 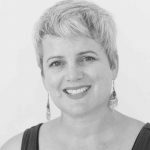 In addition to teaching adaptive, basic and Yin yoga, she is attuned as a Level One Holy Fire Reiki practitioner, and has received training in shamatha and vipassana meditation with Douglas Veenhof. She is a member of Yoga Alliance. Brooke Mallon, RYT-200 Certified Yoga Instructor and Yoga Practitioner for Eating Disorder Recovery. 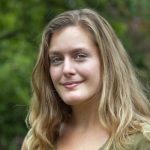 Brooke embarked on her own road to recovery through an eating disorder in part transformed and maintained through mindfulness and conscious movement as well as seeking qualified clinical support. Brooke gives back to others in Recovery and any-body willing to show up on their mat as they are with whatever they are capable of in the moment, to grow in Self-Acceptance and to build a Compassionate relationship with Self which inevitably extends into all areas of Life. Deborah began attending yoga classes in 2006. The practice seemed familiar in ways that can only be describe as innate or even intuitive. She fell in love with and embraced the mind, body, and breathe experience as a way of cultivating a strong physical, mental and emotional state of being. Deborah completed teachers training in 2011 with Katherine Austin. She now teaches a variety of classes including hatha, vinyasa, adaptive, chair and gentle floor yoga as well as private classes. Deborah earned her Bachelors in Therapeutic Recreation from Eastern Michigan University and MBA from Baker College. “My desire is to inspire students to live mindfully, move with awareness and take time to breathe fully”. To me teaching yoga has been a blessed experience. Coming from someone who has MS, who has been in the student’s shoes with visual challenges, coordination problems, numbness, you name it, I pretty much had it all including the MS “hug”. This is why I do it because like me, I know how yoga with ME can and will make a difference in the student’s lives. Sometimes student mad not notice a quick change, but we see the change in how their body responds to their continued practice and breathing techniques. Student’s continue to come, because I believe they slowly begin to notice and feel a change in their bodies, and it’s a good accomplished feeling for both them and us as well. Lori was diagnosed with MS in 1996. In 2010 she began practicing yoga with Mindy Eisenberg. After realizing the tremendous benefits from a regular practice, she decided to become a yoga teacher so she could share with others. It is Lori’s passion to help people be healthy and happy through yoga, positive attitude and nutrition. She began mentoring Yoga Moves MS with Mindy in August of 2018. Lori is also a pioneer in the field of forensic genealogy. She volunteers her time reuniting families separated through adoption and investigates “cold cases” using DNA.